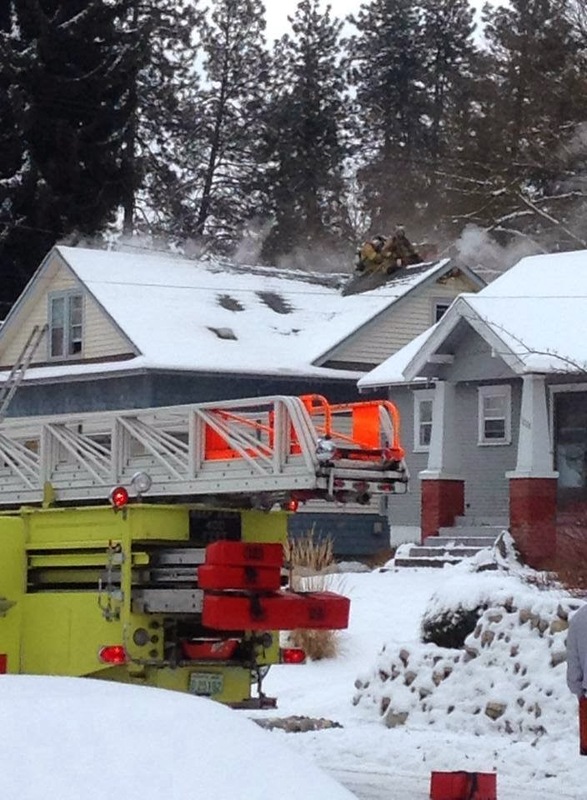 Narrative: On Sunday, February 02, 2014, at 9:48 AM, units of the Spokane Fire Department responded to a reported house fire at 1304 E. 12th Avenue, near Spokane’s Perry Street District. E7 arrived within 6-minutes and reported a one and one-half story, wood framed residence with moderate smoke showing from roof and attic vents. The crew quickly gained entry into the house and located one sleeping occupant, who was assisted out of the house while the remainder of the crew advanced a fire attack hose to the upper floor and located the fire in the attic. As additional fire crews arrived, they went to work opening up access to the attic and to concealed spaces, so the fire could be extinguished. Other crews conducted salvage operations to protect the contents as much as possible. The fire was knocked down within 10-minutes and full extinguishment was completed within 30-minutes. In all, two ladder trucks, four engines, one heavy rescue and two battalion chiefs, for a total of 22 firefighters, responded to this fire. There were no injuries to civilians or firefighters. The four occupants of this rental house will be staying with friends or relatives until repairs to the structure and wiring can be made. Cause: Investigators with the Spokane Fire Department’s Special Investigation Unit determined the cause of this fire to be deteriorated electrical wiring in the attic, which overheated and ignited insulation and wood framing members. Damage: Damage was confined to fire damaged framing, wiring and insulation in the attic, with water and fire mitigation damage to the second floor.